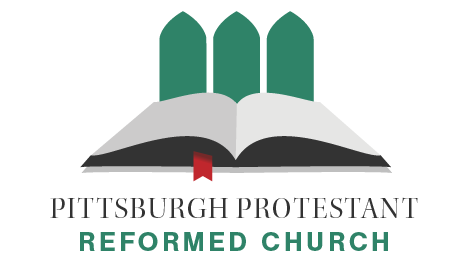 Below is a brief summary of the Annual Events held by the Pittsburgh Protestant Reformed Church (PPRC). For specific dates and times see 'CALENDAR' under the 'EVENTS' tab. In the Spring of each year, PPRC hosts a lecture, or other special program, to which we invite the public. On Friday, June 22, 2018, Reverend Nathan Decker presented a lecture titled 'Living Wisely in a Digital Age.' at the Slippery Rock Township Building, 155 Branchton Road, Slippery Rock, PA 16057. Click here to listen to this lecture given as a sermon by Reverend Decker at his church in Hudsonville, Michigan. At the end of Catechism Classes each spring, the students, ranging in age from 4 to 14, host an evening where individual and class projects are presented and on display. Their imagination and ingenuity always amazes! Light refreshments are served. Memorial Day sees PPRC members, family, and friends at a local park enjoying fellowship, food, and fun. Children ride bikes, play games, enjoy a water slide while adults play tennis, basketball, deck hockey, baseball, or board games. Fellowship and food are plentiful! Each year, on or near Reformation Day, October 31st, PPRC hosts a lecture on a topic pertaining to the Protestant Reformation. Presented by our Pastor, Reverend Wilbur Bruinsma, or a guest Pastor, this lecture illuminates the history of the great Reformation. A question and answer session follows. The public is invited to this event and refreshments are served afterward. Our 21st Annual Reformation Day lecture was held on Wednesday, October 3, 2018, at 7:30 PM. Reverend Angus Stewart, from our sister church in Northern Ireland, presented a lecture titled ‘Martin and Katie Luther: The Reformation of Marriage.’ Click here to view this lecture on YouTube. With planning by adults having begun in July and practice by children having begun in September the big day is here! After Sunday service the children, and a few adults, of PPRC present a program of song, piano solos, and scripture recitation. It's a joy to behold!